By default, the GetUser() method gets the username that was entered in the previous login. 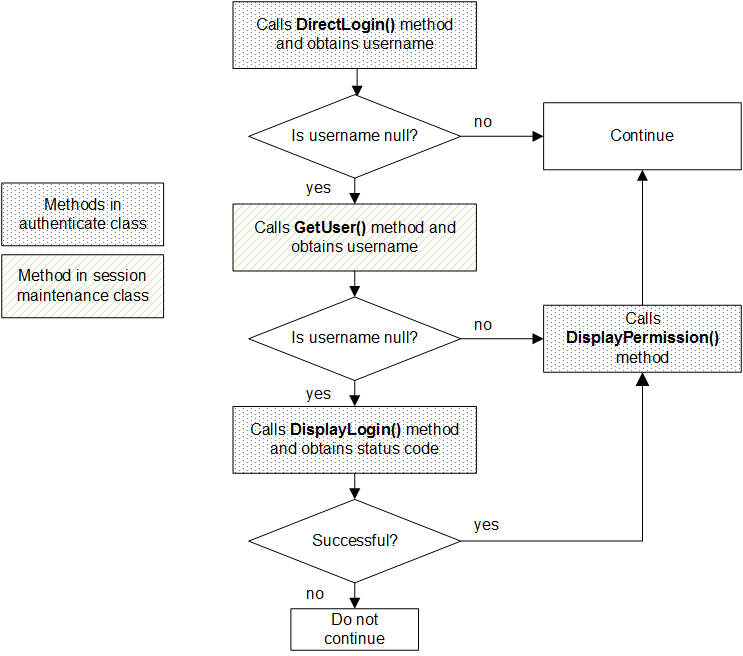 Note that DisplayPermissions() is not called if you implement DirectLogin(), because DirectLogin() takes responsibility for displaying permissions. scope is an instance of %ArrayOfDataTypes that contains the scopes contained in the original client request, possibly modified by the BeforeAuthenticate() method. The array keys are the scope values and the array values are the corresponding display forms of the scope values. username, returned as output, is a username. password, returned as output, is the corresponding password. In your implementation, use your own logic to set the username and password arguments. To do so, use the scope and properties arguments as needed. To deny access, your method can set the username argument to $char(0). In this case, the authorization server will return the access_denied error. The method can also set properties of properties; this object is available in later processing. The method must return a %Status.